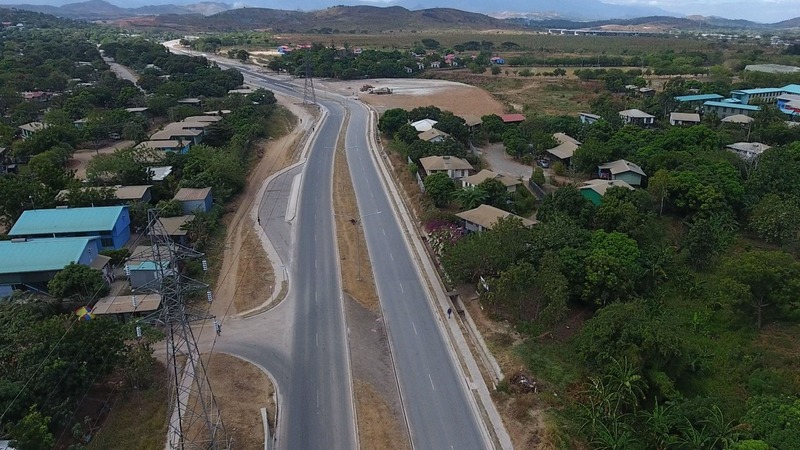 Graun Blong Mi- My Land: K318 MILLION HIGHWAY NAMED AFTER "PNC FOUNDER"
K318 MILLION HIGHWAY NAMED AFTER "PNC FOUNDER"
A 24kilometre four-lane highway from Badihagwa to 9mile in Port Moresby was opened just before polling commences in Papua New Guinea. The project was said to have costed K318million to built and was named after former PNG Prime Minister and Peoples National Congress Party (PNC) founder Sir William Jack "Bill" Skate. This project was funded through concessional loans from the Exim Bank of China which will be repaid within 25 years at an interest rate of 2%. The contract was again awarded to China Harbour Engineering Company with the highway project being part of the 2015 NCDC Urban Development Plan. While the cost of constructing this road may have raised some eyebrows given the state of the economy of PNG, economists have also issued warnings on the National Government's over borrowing and inflated costs involving projects. Many people still question why the Highlands Highway was neglected for over 40years and the Bulolo-Menyamya road which drives PNG's economy through coffee and gold mines. Even the Lae-Madang and Bogia Highway which connects the Momase region has been overlooked and monies being put into building roads and bridges which brings no economic benefit for Papua New Guinea. The Kookaburra flyover from Jacksons Airport into Waigani was initially a K80million project but was built at an inflated cost of K161million. Where did the other K81million gone to? There are several other infrastructure projects in NCD and some other parts of the country that were built at inflated costings. Even in Lae City a kilometer of concrete road was built at a cost of K1million. We have the Lae-Nadzab four-lane highway yet to be completed and delivered to the people. There are many other projects initiated under the current and previous governments that were built at very high costs, but the quality of work is of substandard. PNG Government continues to award Chinese contractors who bring in their own truck divers and other skilled jobs that Papua New Guineans can do. This is the only time Papua New Guineans can vote out corruption in the government. Vote wisely this election to see fair distribution of wealth to all parts of the country and create wealth and empowerment of people.